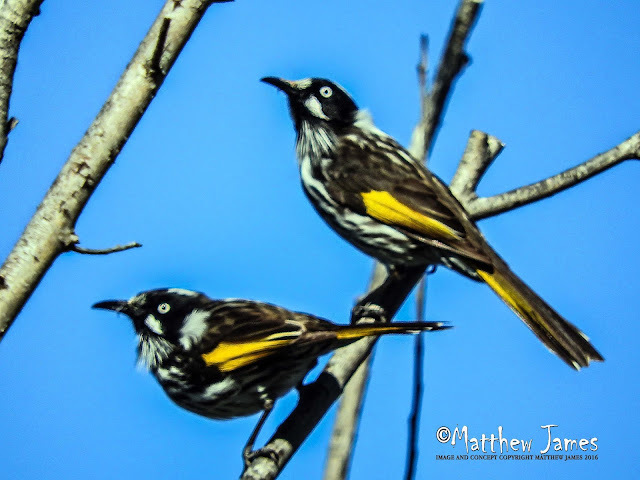 The photo is not in focus as I intended it ... with the camera choosing to focus in on the branch to the left and leaving the two New Holland Honeyeaters out of focus. But it is still a favourite of mine for the composition and for the rarity (For me anyway) of capturing two New Holland's in the frame. My only regret is that I didn't get them totally in focus.